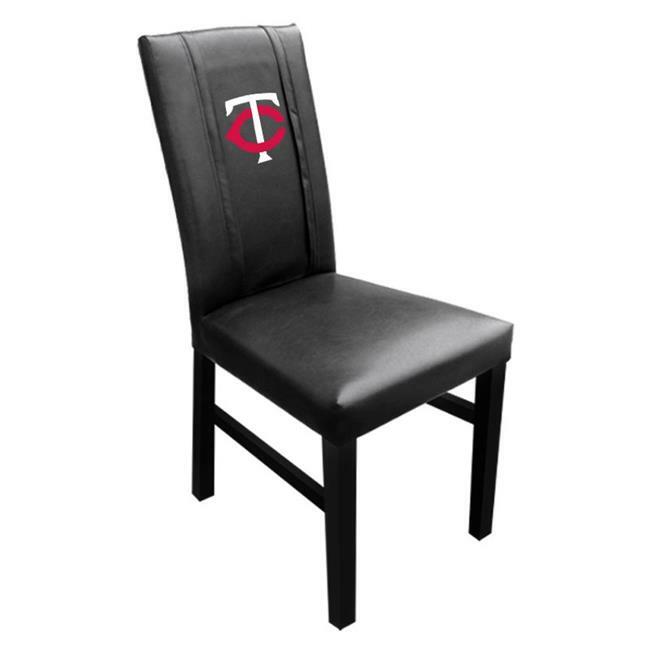 Enjoy the Minnesota Twins MLB Side Chair 2000 with Secondary Logo Panel at the dinner table, poker table, or any of the other tables you are sitting at. The perfect addition to your Twins fan cave the side chair incorporates contemporary styling with sturdy 18 gauge powder coated steel frame providing a chair that not only looks great but is commercially rated to last. Best of all the logo zips on and off for endless customization and you can add a second logo to the back of the chair.